Our developments are focused on Quality, Reliability and Project Viability, in highly competitive environments such as the Saudi Market. 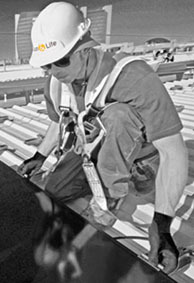 Sun & Life plans, realizes and operates large scale photovoltaic plants. Leveraging our expertise and strategic partnerships, we ensure that every new project is designed and installed with the most suitable technology for our environment. We focus on quality, reliability, local contents and attractive returns. Our projects are tailored to meet the needs of institutional and individual investors. Our focus is on the Saudi Arabian Market, and other regional markets with fundamental needs for solar applications.